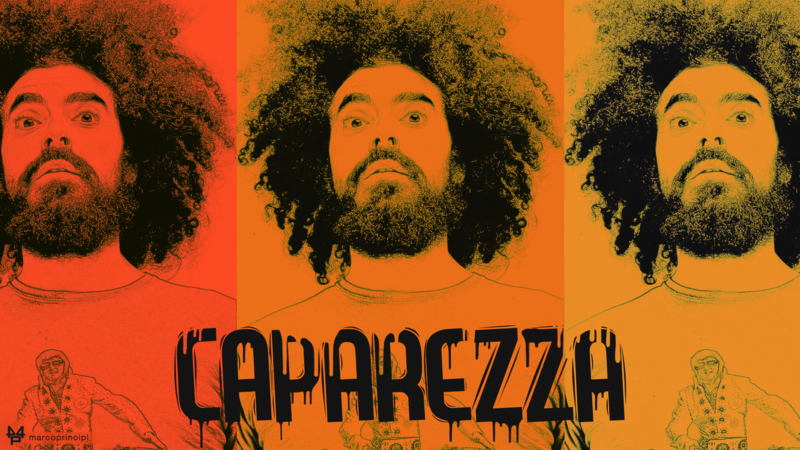 Caparezza was born in Molfetta on October 9, 1973. Caparezza’s mother was a teacher and his father was a worker who used to play in a band, so Michele started playing music as a child. He studied accountancy, although he dreamed of writing comics. After completing High School, Michele began to work in advertising, and won a scholarship for the Academy of Media and Journalism in Milan. However, he soon decided to leave the advertising world to fully devote himself to music.